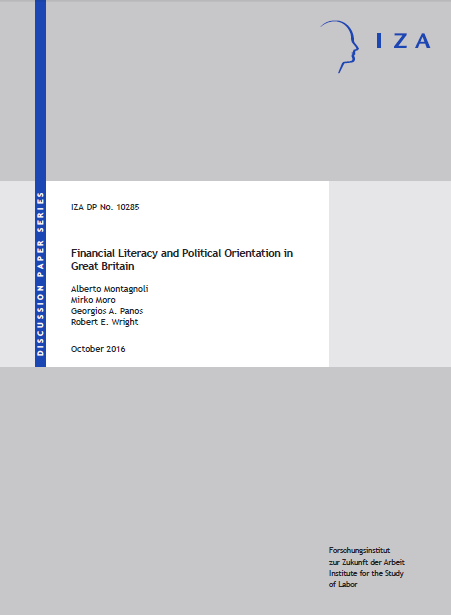 Prof. Georgios Panos (University of Glasgow) and his co-authors, Dr. Alberto Montagnoli (University of Sheffield), Dr. Mirko Moro (University of Stirling) and Prof. Robert Wright (University of Strathclyde) examine the relationship between financial literacy and political orientation using novel data on Great Britain. The authors employ two distinct measures of political orientation, capturing individual self-assessment on a left-right axis and party preferences. 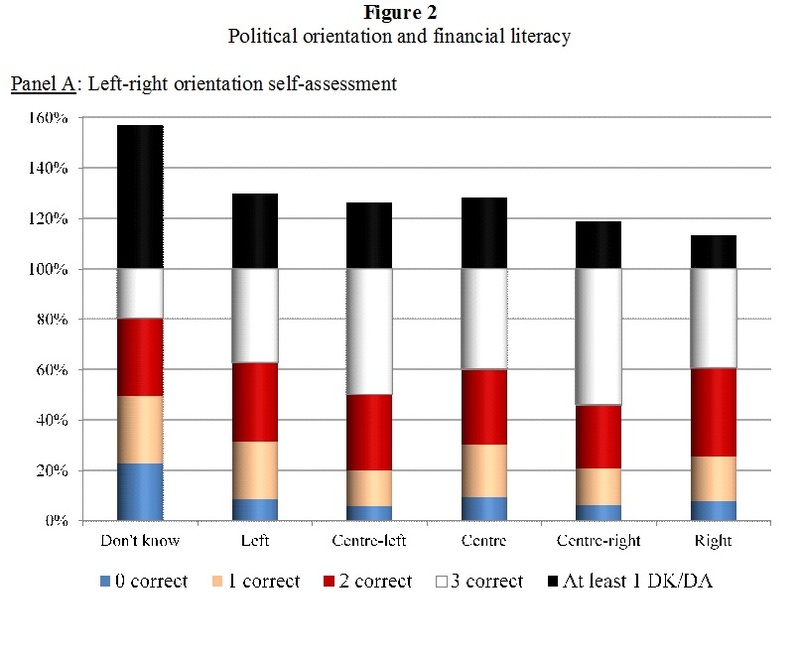 They find that financially-literate individuals are some 11-19 percent more likely to orientate at the centre-left or the centre-right. Moreover, they are some 30 percent less likely not to know their political orientation. The results are robust when rich sets of public-attitude and public-value variables are accounted for. Financially-literate individuals are also more likely to have a stable political orientation over time and they are some 15-23 percent less likely to change attitudes radically towards the left or the right across different waves of the study. The findings are indicative that greater financial literacy is conducive to greater stability of moderate political views and orientation. The paper has been released as IZA Discussion Paper No. 10285, by the Institute for the Study of Labor in Germany. It is also available as a working paper at the University of Glasgow, the University of Strathclyde, the University of Sheffield and the Centre for Responsible Banking and Finance at the University of St. Andrews. PROFIT at “Financing the Social Economy in a globalized context: today... New working paper on financial literacy and attitudes to redistribution!